I know many people love built-in cabinets. They can add character and dimension to any kind of decor. Treasures, books and photographs are displayed in built-ins. I am going to offer you three ways to spruce up your built-ins or shelving units. Each of these will offer a dramatic backdrop for whatever you chose to display. Image via The Old Post Road. Painting the back or inside of your shelves is the quickest and easiest way to give your cases a makeover. The image below, via snapguide.com, shows a built-in with the back painted green. The color adds dimension to the display and a lovely backdrop for all of the items. 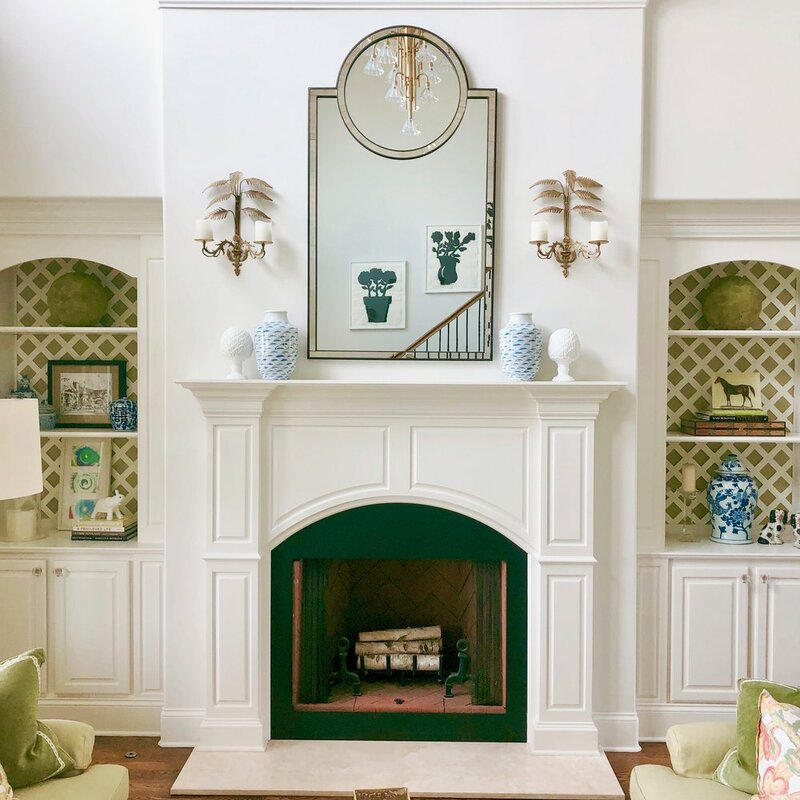 This gorgeous image via Ashley Whittaker Design was the inspiration for my lattice built-ins. 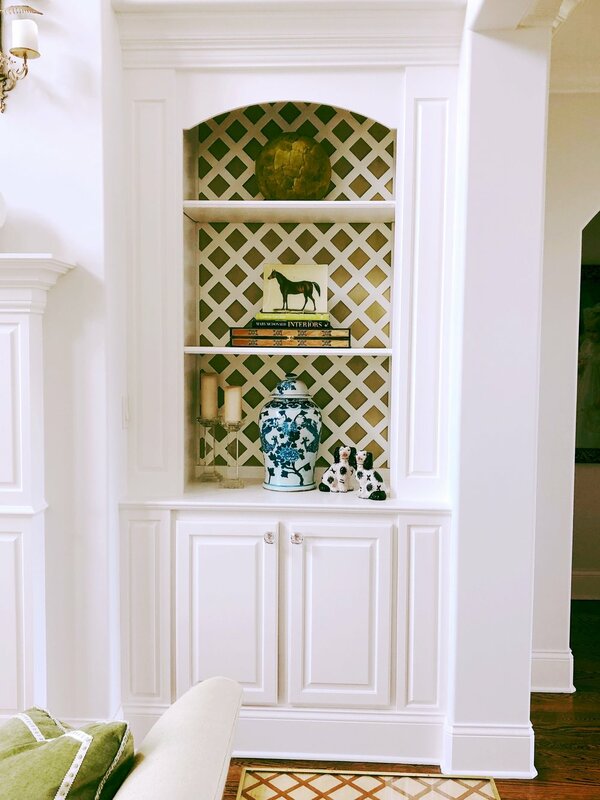 I love lattice and wanted to incorporate it into my home. The built-ins below are in my living room. I painted the back and then decided to go the extra step and add the lattice. It was an easy DIY that I completed in a weekend. You can see my full post on this project here. There are so many options when it comes to wallpaper. You can add pattern, texture and color all at the same time. Image via Blueprint Store’s IG feed. Image via Pinterest. Source unknown. I love the texture the grasscloth gives the shelving. It provides the perfect backdrop for display in this beautiful coastal room. Above is a project in progress. The raffia textured paper is going to bring these shelves to life! I will post a follow up picture on my instagram feed when finished. I hope I have inspired you to spruce up your shelves. Thanks so much for reading.